With the large number of craft breweries popping up as of late, it can be easy for a brewery to get lost in the crowd. Portland, in particular, has hundreds of craft brews making it the number one place in the country for craft brewing. Deschutes Brewery has always been a company to stand out above the rest. Like many brew companies, they release a blend of seasonal beers. But what makes them special is not only the great taste and flavors but the use of artists to construct the label, making Jubelale the Vegas Pub Crawler featured beer of the week. One thing our parents always told us not to do was to judge a book by its cover. But what we’re doing here is judging a beer by it’s label. Deschutes commissioned artist Taylor Rose to design the winter ale’s festive label. It features two people and a dog venturing through the snow at night. However, it isn’t only the beautiful artwork that has earned them Vegas Pub Crawler’s praise. The winter ale is delicious and absolutely perfect for the season. Jubelale has strong flavors that come out through chicory, dried fruits and toffee notes. The roasted taste gives off a perfect warming effect with just the right amount of spice. This brew contains 6.7 percent of alcohol by volume and registers a 65 on the IBU giving it a bit of a kick. Jubelale by Deschutes can be found in most grocery stores and is best enjoyed in your local bar with friends. 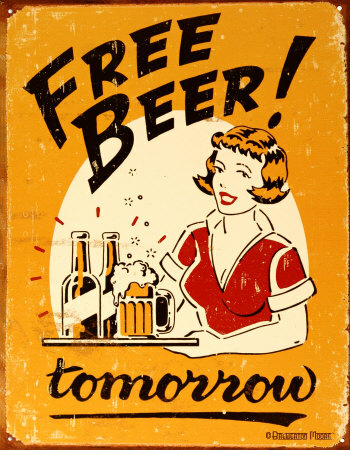 Be sure to try it out when you are on your Downtown Las Vegas Pub Crawl. It will be available in bars such as Atomic Liquors and The Golden Nugget. Contact us today to set up your Downtown Las Vegas Pub Crawl.